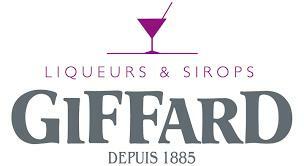 Emile Giffard was a pharmacist before he was a distiller. It started in 1885, when the scorching heat of the summers in France inspired him to create something that would cool and refresh his clientele. Lucky for them (and for us), Emile was also a gourmand, and began researching the digestive properties of mint as he embarked on his endeavor. Using steam distillation of Mitcham peppermint, Emile created a liqueur that was as delicious as it was refreshing. Giffard Menthe Pastille, named after the French candies at the time (the name translates to "mint drop"), found instant popularity with the locals. Emile promptly turned his pharmacy into a distillery and established the tradition and quality for which Giffard is known worldwide. This was only the beginning. Four generations and over a century later, the Giffard family continues Emile's tradition, using the finest ingredients and time-tested methods to create their liqueurs. Today, the care taken to create and produce each one remains the same.